You don’t have to be a professional pet sitter to need a kit for when you walk your dogs, even if it’s just around your neighborhood. 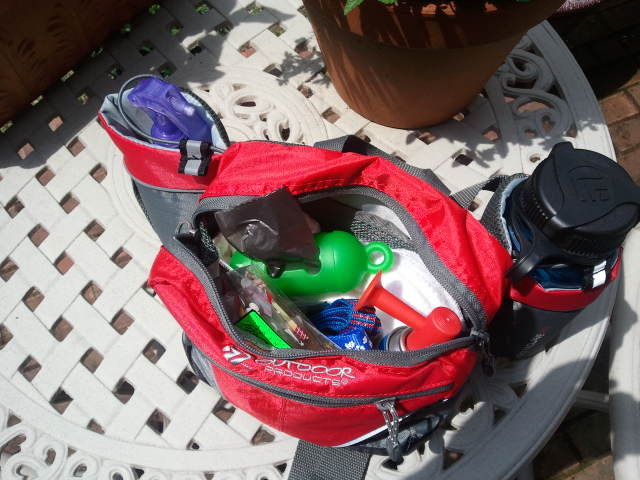 There are a few things that you should carry with you, whenever you walk a dog. They will fit in a fanny pack or other small bag and may be very important. Some of these things, hopefully you won’t need, but if you do, it’s nice to have them handy. In extreme cases it could save you or your dogs. The most obvious thing is pick up bags. Most dog owners have plenty of these. 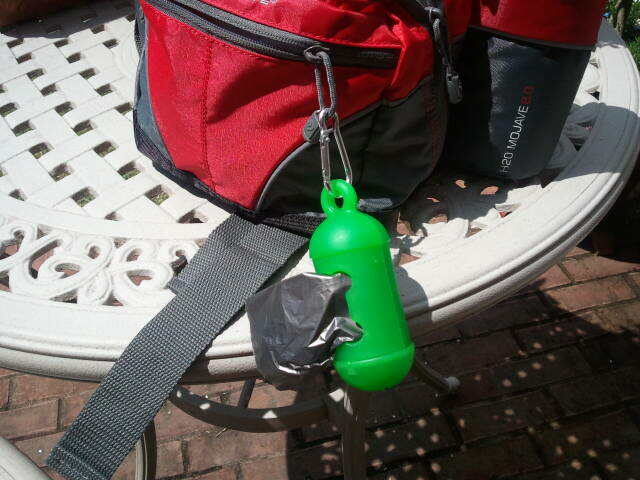 Dispensers are made that attach right to your leash or your belt. You can by the rolled up bags or use old newspaper bags, bread bags, produce bags, or whatever you have around the house. If you walk your dog around your neighborhood or other public place, you must pick up after them. Most of you know that. Always keep some spare bags in your kit. You may find someone else who needs one or there aren’t as many in your dispenser as you thought. You should have a piece of cloth than can be used as a muzzle. This needs to be at least 6 feet long and an inch wide. You can find out more about this in my first aid entry. If the dog gets injured it must be muzzled before you can attempt to treat it. No matter how strict the neighborhood is on leash laws there always seems to be a dog that gets out. The best way to handle this situation is to avoid it. Go in another direction. But if it’s unavoidable and you or your dog is confronted by another dog, you have to be prepared. 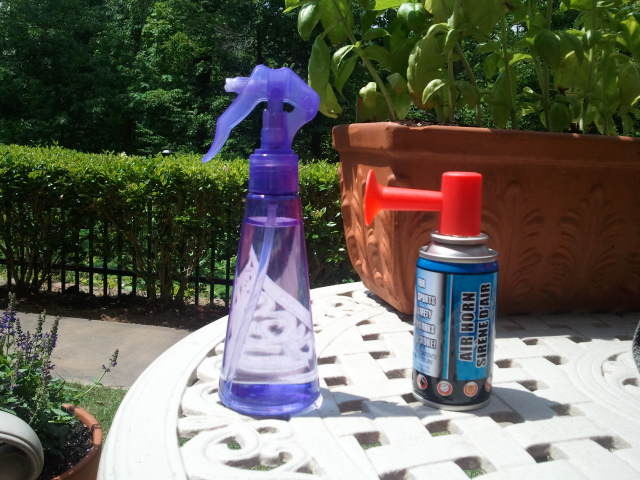 Carry a boat horn or a spray bottle with white vinegar with you to ward off the unwanted approach. If you walk in the dark carry a small flashlight. I do not like the retractable leashes, especially if you walk more than one dog, you walk your dog in a high-traffic area or in the dark. Even if you carry a flashlight and your dog is at the far end of a retractable leash, the driver of the car, may see you, but not your dog. I tell my sitters to carry a 6 foot leash and use that on the dogs when the owners have a retractable leash. It’s too easy to be distracted by one dog, when the other one wanders too far and gets in trouble. I keep treats handy as well. This way you can reward the dog or help it in its training. This entry was posted in Uncategorized and tagged Dog Care, Dog Walking, Fetch! Pet Care by mikespettales. Bookmark the permalink.